The Institute at Barmouth is a rare survivor of public rooms, once a place of reading and relaxation for seafarers. Their maritime collection of books, pictures and artefacts is open to the public every day as an Accredited Museum. Talks, displays, a community day and schools visits have been part of their involvement with the U-Boat Project. Bodrhyddan Hall is a Grade I listed building and has been the home of Lord Langford and his family for over 500 years. Set in several acres of stunning formal gardens and reclaimed woodland, the house is one of the few remaining family-owned stately homes in Wales. The extensive collections include material relating to family members who have served in both the army and navy. 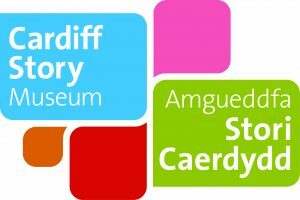 The Cardiff Story Museum explores the rich and fascinating history of our capital city. The museum’s collections tell the city’s story, from the earliest times, through the industrial coal boom, to the present day. The museum continues to add to its collections making sure the diversity of Cardiff and its communities, past and present, are represented. 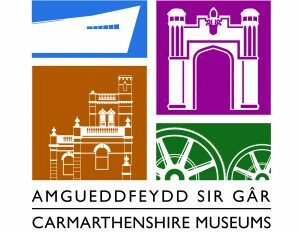 Ceredigion Museum is a local authority museum with maritime collections. As part of the U-boat project, the museum’s Ceredigion Heritage Youth Panel curated an interactive exhibition exploring what it was like at sea and inside a submarine. A boat trip over the APAPA, one of the First World War wrecks, was combined with a trip to the SEACAMS centre at Bangor to see how the surveys were carried out. In Llandudno, a ceramics workshop was held at Bro Aled school in which the pupils learnt about the history of the submarine war. They created figurines and a submarine which were displayed at Conwy Archives. Volunteers at the archive researched the story of a U-boat off the Great Orme and the German POWs’ plan to be rescued. Local school children staged a re-enactment of the events around Llandudno.  The Flintshire War Memorials project originally began as a small hobby project by Eifion and Viv Williams, but the team of volunteers has grown and grown helping to create a website for the stories behind the names on all Flintshire’s Great War memorials.  The project has received practical and financial help and support from Flintshire Local Voluntary Council and the Heritage Lottery Fund. The Friends of the Newport Ship was formed in 2002 to raise awareness and funds to support the conservation of the Newport Medieval Ship. Volunteers from the Friends host regular open days at the Ship Centre, offering free guided tours to visitors. The Friends also hold talks and events, and have published a guidebook to communicate this unique piece of Newport’s heritage to the public. The Friends also have an extensive knowledge of many other aspects of Newport’s maritime heritage. Newport Museum & Art Gallery has been collecting evidence of Newport’s history, culture and environment since 1888. The museum displays tell the story of Newport from prehistoric times to the 20th Century and temporary exhibitions always offer something new to explore. Newport City Council support both the museum and the Newport medieval Ship through the Newport Museum and Heritage Service. The museum has held a series of themed talks telling the stories of Pembrokeshire and the War at Sea and curated an exhibition exploring the experience of Pembrokeshire school children and peace celebrations after the war. The maritime museum at Holyhead is housed in the oldest lifeboat station in Wales and is managed and run by volunteers. Recognition and remembrance of the town’s participation in the First World War formed a major part of its exhibitions in the commemorative period, including the loss of the RMS LEINSTER, torpedoed in October 1918 with the loss of 530 lives, many from Holyhead. This mainly volunteer-run maritime museum is housed in the old church of St Mary at Nefyn. The collections include artefacts and photographs relating to the rich maritime heritage of the area. As part of their U-Boat Project activities, the volunteers received training in oral history and went on to record local people. A community day provided unique material to be scanned and an exhibition and talk was very well attended. 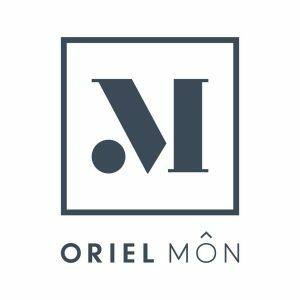 Oriel Ynys Môn is a centre for art and history in Llangefni, Anglesey. Working with schools and Project Zero, there will be a community day in 2019 exploring the First World War airbase at Llangefni and the airships which flew from there to search for U-boats off the Anglesey coast. The full U-Boat Project exhibition will be held in 2019. The partnership with the U-Boat Project gave Parc Howard Museum an opportunity to forge new links with local communities to explore the stories of local people who lost their life at sea. This provided the inspiration for Flotilla, a ceramic artwork devised by Esther Ley, a Welsh artist of German descent, comprising individual memorial ‘boats’ created by local children and community groups. Flotilla is now permanently lodged at Parc Howard. 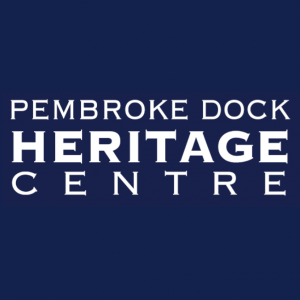 The Heritage Centre is an independent, volunteer-run museum, operated by Pembroke Dock Sunderland Trust. Pembroke Dock has more than two hundred years of well-recorded military heritage that stretches even further back to Henry Tudor’s landing in Pembrokeshire in 1485. Pembroke Dock Sunderland Trust aims to share this unique history and experience with the world through the Pembroke Dock Heritage Centre, based in the Georgian Royal Dockyard Chapel. The museum is housed in the old Police Station in Porthcawl and is run by volunteers. For the U-Boat Project, volunteers researched the history of Porthcawl’s involvement in the war at sea including the scrapping of warships there in 1919 and the loss of the US coastguard vessel, the TAMPA, in 1918. The museum was represented at a memorial service in Washington D.C. to those lost on the TAMPA. Housed in an old slate shed on the harbour, Porthmadog Maritime Museum displays 200 years of maritime history at this major slate port. The museum has researched the First World War mariners and ships from the area and their exhibition included a film of the sinking of the sailing ship, MISS MORRIS, and a recording of a captain talking about his experience of being sunk. Storiel is housed at the restored Bishop’s Palace in Bangor. The museum brings together social history collections from across north Wales, with an emphasis on Gwynedd. Their U-Boat Project activities involved an art group for young people called Criw Celf who were inspired by a trip to Porthmadog Maritime Museum and the history of the MISS MORRIS. With the help of artist Theresa Urbanska, they created an artistic piece which was shown as part the exhibition. Based in Cardiff’s Butetown area, Tiger Bay & the World has been recording the rich multicultural maritime history of the area since the 1980s. Activities in partnership with the U-Boat Project have included digitising of oral recordings relating to the First World War, research into Cardiff ships of the era, and a community day with talks and sharing of memories. An exhibition will be held in the Pierhead building in December 2019. 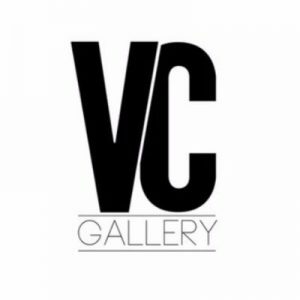 VC Gallery is a small independent community organisation bringing together veterans and the community in Pembrokeshire. ‘It’s all about socialising, community spirit, and engagement through art.’ Activities for the U-Boat Project have involved workshops exploring creative responses following visits to a local cemetery to see graves of the First World War mariners. The artwork created has been displayed at Pembroke Dock. Based at Hancock’s boatyard, Pembroke Dock, this volunteer-run museum is a hive of activity working with long-term unemployed and youth groups to build skills in boat repair and coracle making. Their involvement in the U-Boat Project included research into the torpedoing of the Japanese passenger ship, the HIRANO MARU in 1918, which culminated in a ceremony at the churchyard at Angle to unveil a new war memorial, which was attended by Japanese relatives of the lost sailors. 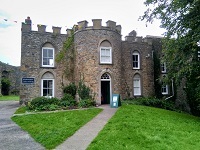 Established in 1878, it is the oldest independent museum in Wales and is situated in Tenby castle grounds. 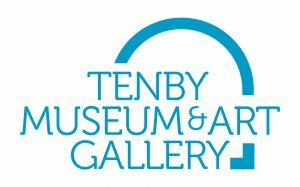 The museum houses a large collection reflecting Tenby’s seafaring past. Stories researched as part of the U-Boat Project include the exploits of a local fisherman who shot and sunk a U-boat while serving as a gunner with the Royal Naval Reserve.